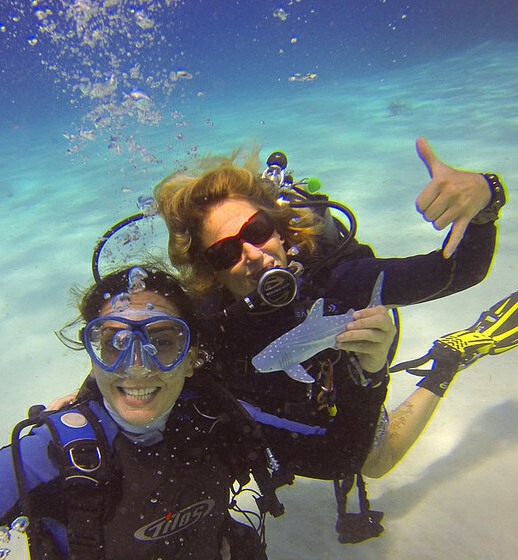 Here you can see a short interview with Hannah Pearson, Padi Dive Instructor, who guided us in some of the dives at Utila Dive Center. 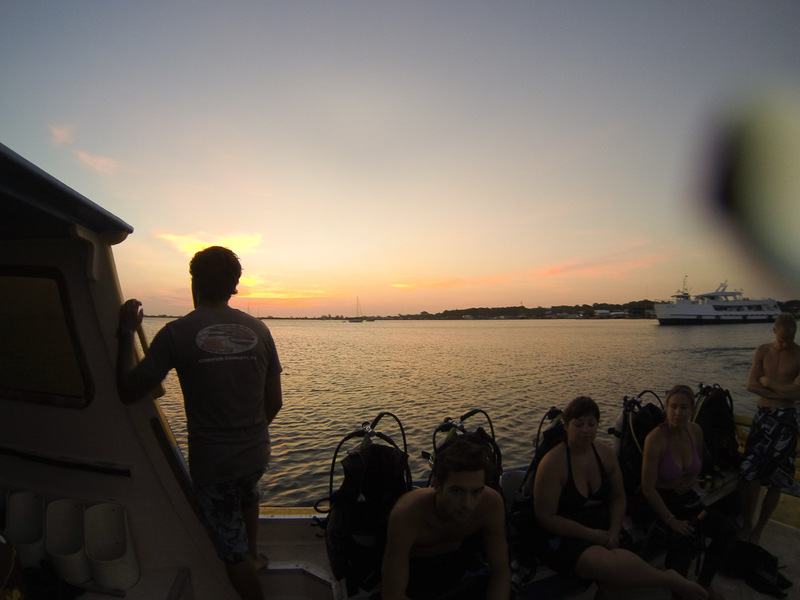 Hannah talks about her favorite dive sites in Utila and how she decided to leave England and go to Honduras. An Interview with Hannah Pearson from Karla Brunet on Vimeo. This was my last dive day in Utila, we went to Raggedy Cay and Black Bird Point dive sites. 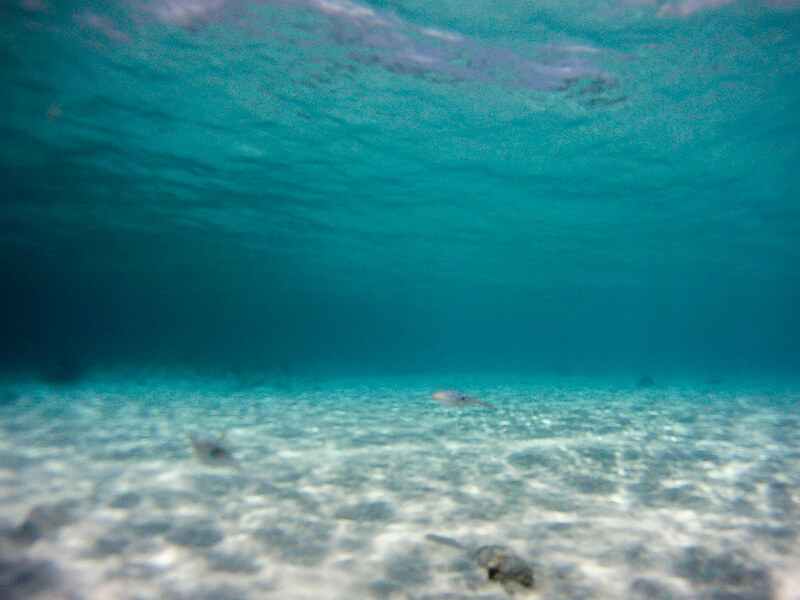 On the first dive, I saw a turtle swimming into the deep sea. And as some diver friends, Marisa and Jorge, nicknamed me after the turtles I chase, I had to be myself and follow it. Since it was going fast, I descend looking at my diver computer all the time. Right in the beginning I realize an young guy is frenetically following me and the turtle, at the same time I see our divemaster (Suzanne Eggerding, Padi Dive Instructor) pulling him back up. I make an “ok” sign to her and continued. Luckily the turtle did not go too deep and stopped at 32m, so I could get close and take a photo. Afterwards, in the boat I found out that the guy following me was an open water diver and that was why he was not allowed to go deeper with me. On my second day diving in Utila I did a night dive, bellow you can see the info on the dives. Some people do not like night dive, they get scared, others are crazy for it. I like it, but don’t chance the day for the night. The great interest in night diving is the possibility to see something different, fishes and other species that have evening habits. And, of course, to cover the flashlight light in the darkness of the sea, just with the moon and boat light above us, it is an incredible feeling. My last stop in Guatemala was Tikal, a Mayan archeological site. 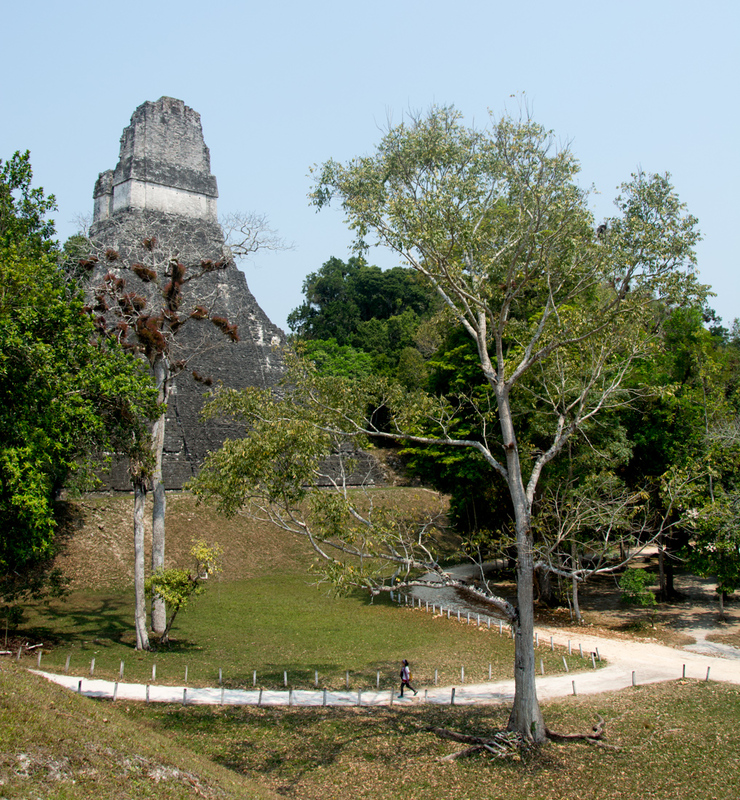 Located on Petén region, east side of the country, Tikal is about 8 hours by bus from Antigua. As my trip to the country was short, I decide to fly from Guatemala city to Flores (40min. trip). Flores, a gateway to visit Tikal, is small and beautiful, a city island crowded with tourists, cafés, bars and hotels. Here the atmosphere is vacation and easygoing traveling. It takes about an hour to surround the island (city) walking. Considered UNESCO World Heritage Site, Tikal is about an hour by bus from Flores. Different from other pre-colombian site I had visited as Teotihuacán and Chichén Itzá that were very hot and dry, Tikal is humid and very green, is in the middle of a tropical forest. Guatemala City, or Guate as they call it there, was my arrival place in Central America. In general, when I travel alone, I avoid stay long time in big cities, so I had only 2 days in town. During this period the city was had always some sort of fog, as it was screening the sun, it reminded me Lima, in Peru. Guatemala is big, about 4 million people in a country of 15 million, therefore, great part of the action happen here. It is divided by zones by numbers, streets and avenues are also named by number. For example, I stayed at Zone 13, 15 av. “A” 5-30. This way of naming streets and neighborhoods gives me the idea of being planed, that they followed an urban plan. It is had to imagine this kind of nomenclature on Brazilians cities where cities grow randomly and streets come out of nothing. I wanted to visit Antigua because of Pacaya volcano. 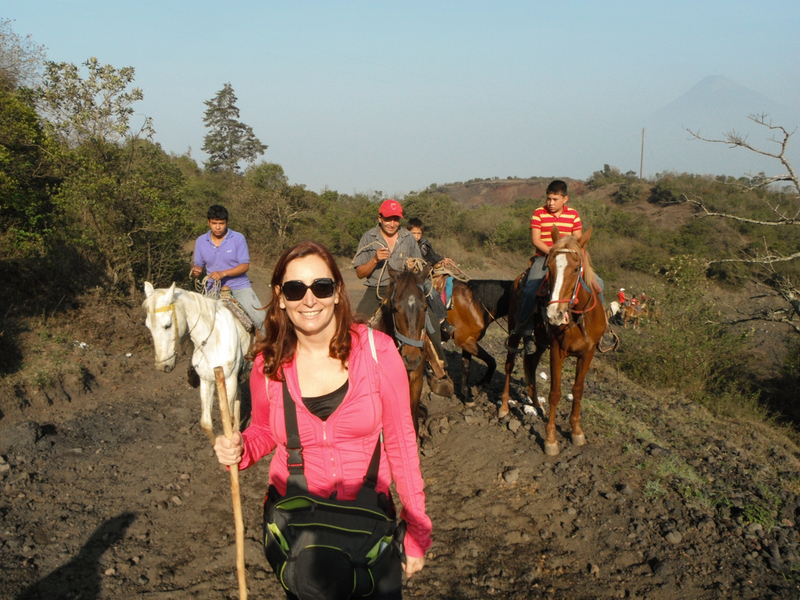 It was in my imaginary this Guatemalan small town surrounded by active volcanoes. I had in my mind the image of colorful houses and the triangular mountain in the background. Unfortunately, it was not easy to see this image because there was a lot of fog. Antigua reminded me the images of Licancabur volcano, one can see it from almost everywhere in San Pedro Atacama. Even though without Pacaya in the background, I loved Antigua. A small town, organized, grounded with cafes, cultural activities and good restaurants. I spent my days walking around, stopping in one café or another, reading, photographing. I enjoy reading in cafes.